Setting Health Care Students Up for Success! - Triangle Inc.
Home » Blog » Setting Health Care Students Up for Success! In honor of the graduation of the most recent cohort of the Health Careers Collaborative last week, we took a deeper look into what makes the program dynamic. Over the past two years, unemployment rates have plummeted to historic lows across the country, leaving various industries with a labor shortage. In particular, the health care industry has suffered from a scarcity of people willing to fill the roles of Home Health Aide and Certified Nurse Assistant. To address both the needs of the growing industry and Triangle’s ongoing goal of providing people with disabilities with the opportunity for independence through competitive employment, Triangle worked with Spaulding Rehabilitation Network to develop the Health Careers Collaborative. The Health Careers Collaborative is an initiative that equips adults with disabilities with the skills necessary to develop successful careers as Certified Nurse Assistants or Home Health Aides. In this program, Triangle’s employment specialists work closely with students as they attend employment preparation boot camp, health care credential training, clinical placement at Spaulding Rehabilitation Network, and prepare for their state credential exam. We caught up with two of the program’s graduates, Clercinie and Siomara, to learn more about their experiences with the program. Since moving to the US from Haiti in 1998, Clercinie has worked a variety of jobs in the greater Boston area to support her family. After losing one of those jobs, she decided to pursue a credential training program in the healthcare field. 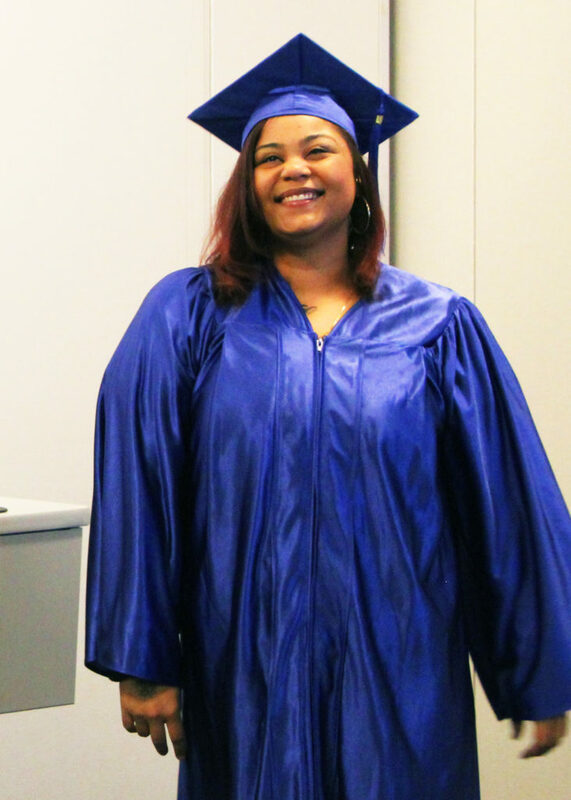 The cost of a certification program was a concern, but her worries were put to rest when she was connected with Triangle’s Health Careers Collaborative. During her first conversation with a Triangle, Inc. staff member, she recalls being told, “I’m here to help you,” and found the sentiment to be true throughout the entire program. Whether it was navigating financial challenges or building up her confidence as a non-native English speaker in the classroom, Clercinie testified to both the practical support and the “good hearts” of Triangle’s staff members that contributed to her success. She excelled in the program and accepted a position with Spaulding Rehabilitation Hospital in Charlestown, where she also completed her clinical placement. 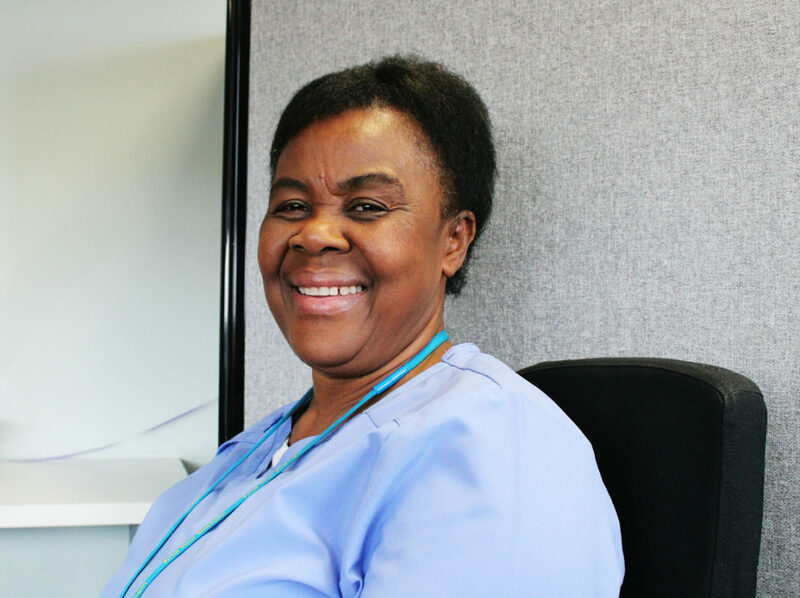 A natural caregiver, Clercinie currently spends much of her time working with head trauma patients. Dorchester native Siomara realized that she wanted to help other people navigate challenges in the healthcare field after serving as a caretaker for her grandmother. With a two-year-old daughter, daily expenses, and complex travel logistics, Siomara began the 12-week certification program knowing she was going to have to manage more than just the course work. She was surprised by the support she received from the Health Careers Collaborative Senior Employment Specialist, who helped coordinate childcare, financial resources, and even came to the class in person to supply bus passes to the students. 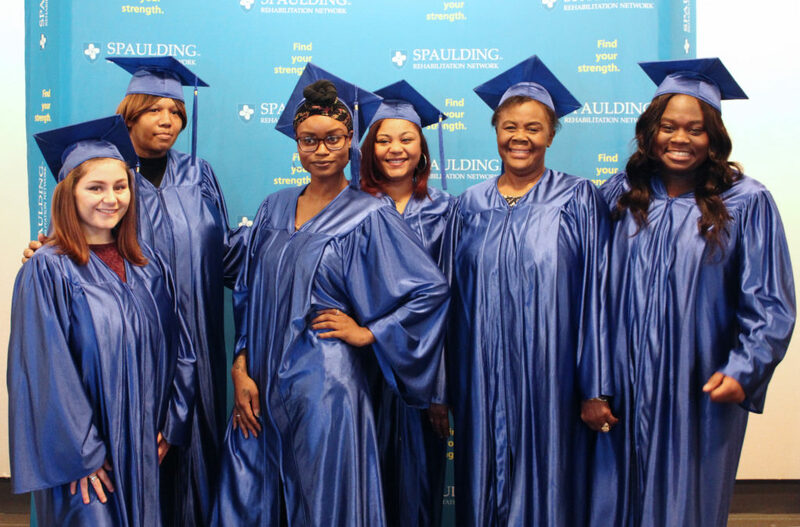 By beginning with employment basics like professional attire, and working closely with our partner Spaulding Rehabilitation Network, Siomara graduated with confidence, knowing that she was a prepared candidate with real job opportunities. Siomara is currently working at Spaulding Rehabilitation’s long-term care facility in Brighton. While she knows that people can get “worn out” in this profession, she enjoys working with the residents there and her lifelong passion for the healthcare field makes her universally well-liked among the people she cares for.